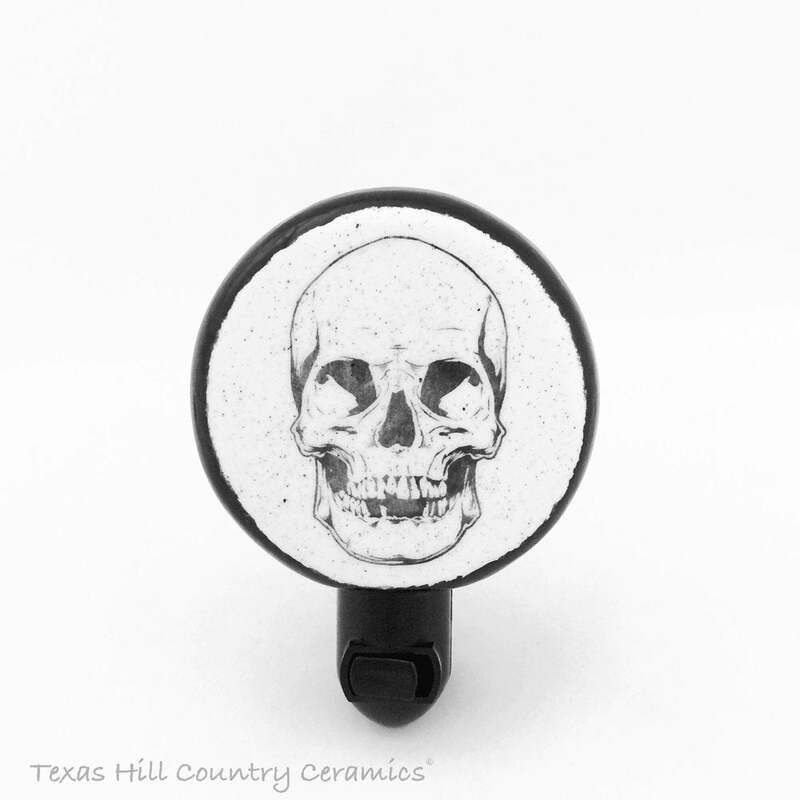 This round shape ceramic night light features a skull design in the center with black accent. This skull design night light will help you scare off things that go bump in the night. Easy to use in the bath or kitchen too. The light shines from the back of the round shape piece, also through holes at the top. 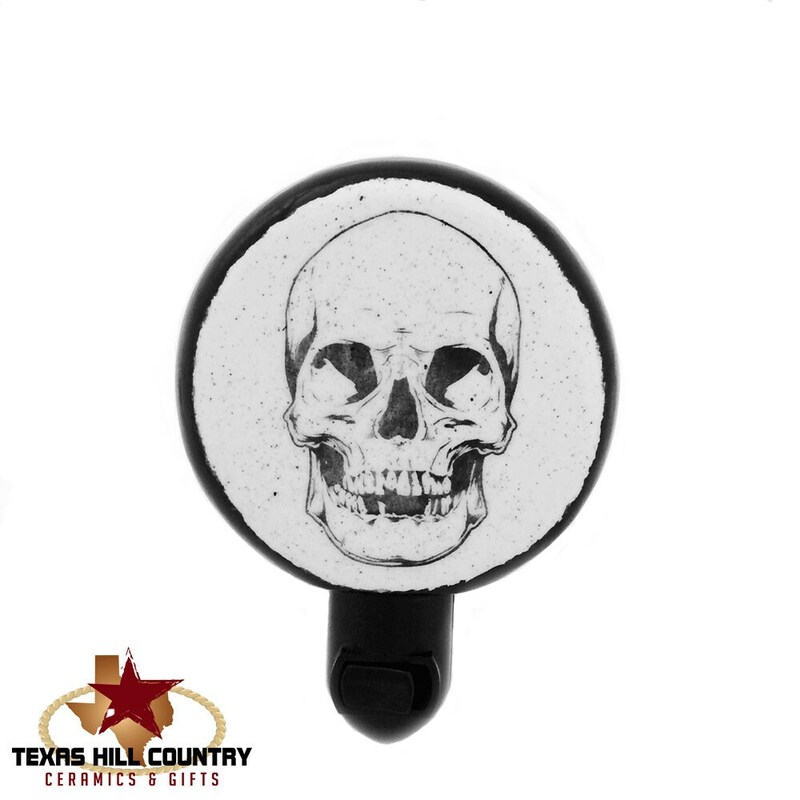 A skull night light is the perfect way to add a little macabre whimsy to any room while providing useful illumination in a dark hallway, bathroom, bedroom, kitchen or porch. Great for Halloween decorating! Choose the color - black or white - and type of fixture - automatic or manual. 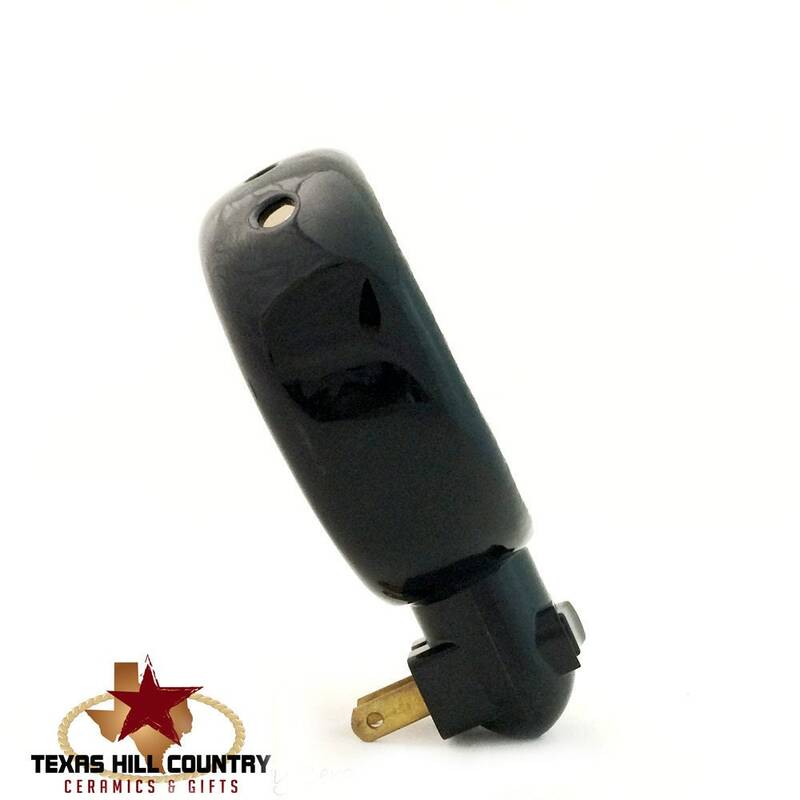 The fixtures are UL approved and have a polarized plug on the left. Please note the night light socket is UL approved and the plug is standard for electrical systems used the USA and Canada. Light bulbs sent with the night light are for USA and Canadian electrical systems as well. 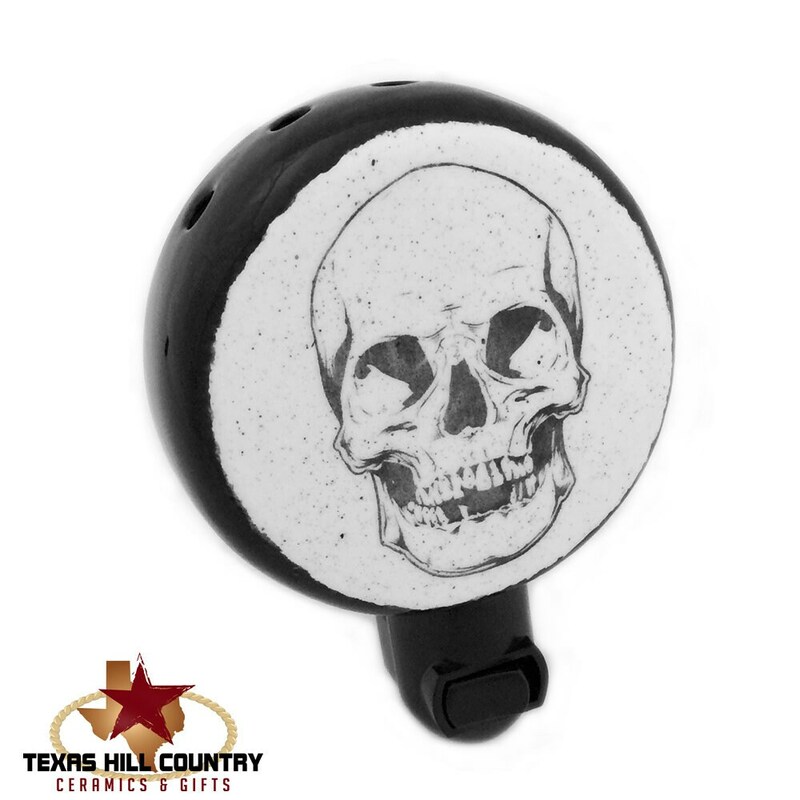 • The round ceramic skull design light is made in the USA, fixture is UL approved. Made of domestic ceramic clay and lead free glaze. Please keep in mind each one is hand made and has its own individual characteristics.